This Authentic Mexican Menudo Recipe is as Mexican as it gets and you will be surprised how good it is! 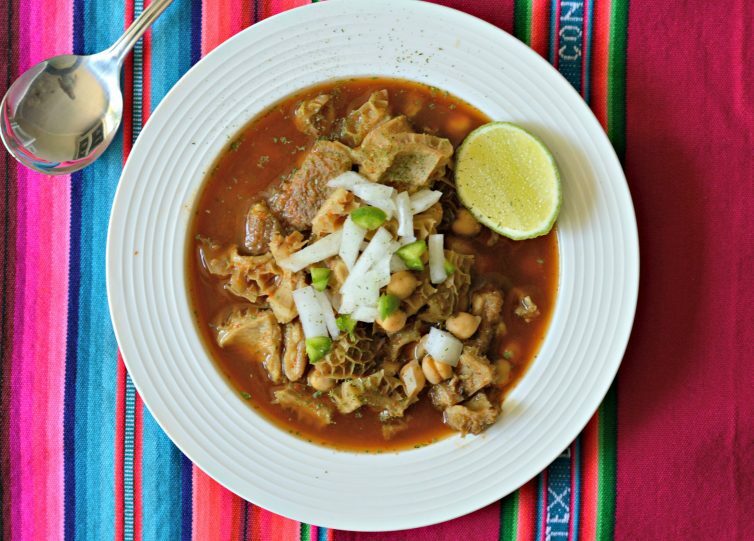 While Mexico is well-known for certain things, such as tacos, tostadas, and more, it is also known for things that some people might not be as eager to try like menudo. 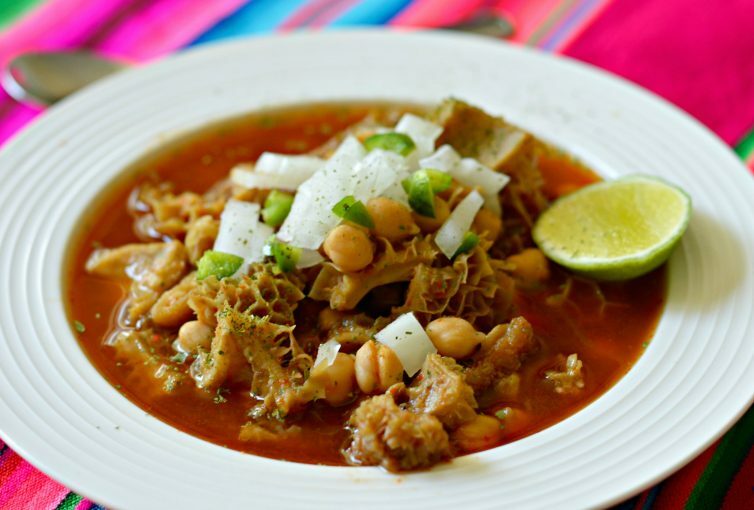 Menudo is a popular “caldo”, or soup, in Mexico that includes as a main component beef tripe. If you don’t know what that is, it is the meat from a cow’s stomach. Now it might come as a shock to you, but it can actually be very delicious if you prepare it the right way, and that is my goal with this recipe today! 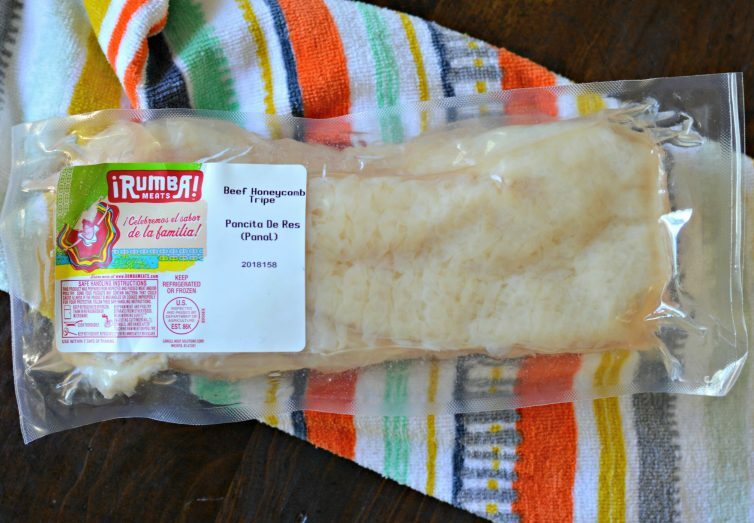 Whenever you purchase any of the less common cuts of meat, like beef tripe, beef tongue, oxtails, and cheekmeat, you want to make sure that you cook it the right way, and that you purchase high-quality meat. In Mexico, you can find these types of meat all over the place, but in the United States, it can be a little bit more difficult. Fortunately, I recently came across a brand that sells all of these cuts of meat and more and that you can have delivered directly to your door. The company is Rumba Meats, and you can purchase the meat for this menudo and many others on Amazon. I ordered this variety box and I was pleasantly surprised when it arrived. It came in a very secure box, with dry ice and well packed. The meat was all still frozen solid and ready to either thaw or put in the freezer. 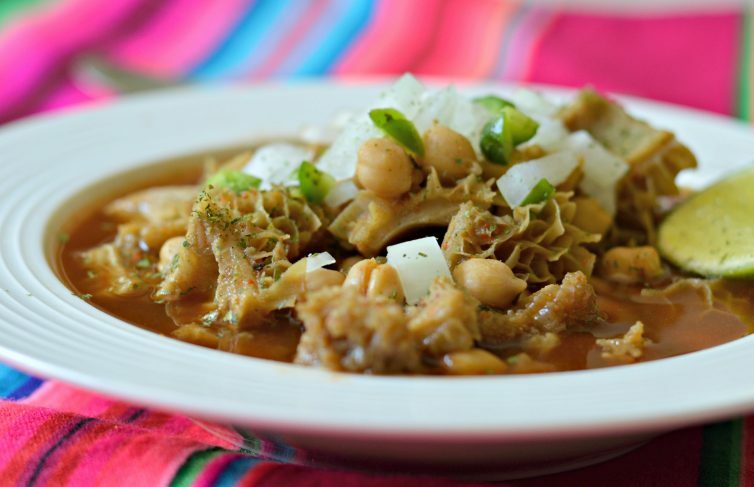 For this menudo recipe, I used the Rumba Meats Honeycomb Beef Tripe. It came clean and trimmed, which was great. This isn’t a recipe that I make very often, because my husband isn’t quite brave enough yet to try it, but I have to say – it turned out very good and flavorful. My mom used to make this version of menudo when I was growing up, and I used to help her. I remember the recipe now that I am older and it definitely brought back some good memories from growing up in Mexico. I hope that you enjoy this recipe, and that you will give it a try – even if it is a little bit outside of your comfort zone! Let me know in the comments below how it turned out for you. Clean the Tripe with water and vinegar, and then rinse. Trim the fat around the edges of the tripe. Cut the Tripe into small chunks and add it to a pot with boiling water and cook for about 25 minutes. Drain the water and rinse the Tripe again. Set aside. In a large, clean pot add a liter of water, the garlic, onion, salt, fresh herbs, beef stock, potatoes, and tripe. Bring to a boil and let cook for 20 minutes. Make the guajillo sauce by removing the seeds and stem from the pasilla and guajillo peppers, and boiling them for 15 minutes in water. Drain the water and blend the softened peppers with one clove of garlic, salt, pepper, onion, and cumin. Strain the mixture with a strainer. Add the guajillo sauce and the hominy to the pot with the rest of the ingredients and let cook for an additional 10 minutes. Serve with lime, onion, and cilantro. I go the lazy man’s route – I buy it from a can at my local grocery store. Takes waaayyy too long, but, I’m sure many will disagree with me, but, they both taste the same. Hello there!! 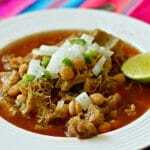 I am going to be making this and your posole tomorrow for my hubby’s 35th birthday. This will be my first attempt for both… Wish we luck! Will up date you with pictures and more tomorrow! !